Sophie Corless took part in her sponsored swim at DW sports in Morecambe, it consisted of a 1 hour swim. The timer started and off Sophie went, up and down the 20 metre length pool with her family and friends cheering her on and her swimming teacher Molly from “Molly’s Little Minnows” swimming alongside her for support. As the time ticked by Sophie wasn’t stopping at any point for a breather and just carried on with length after length. 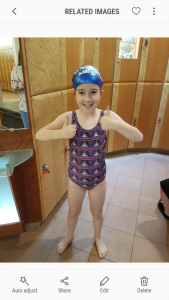 The timed hour passed quickly and the results were in, Sophie had completed 60 lengths of the pool, 1200 metres in total. Up to that day Sophie had completed and got badges for 400 metres so to triple that was an amazing achievement not only for herself but her family/friends. To say we were all very proud would be an understatement. The event finished with certificates, chocolates and flowers for Sophie kindly given to her by DW Sports and Molly. 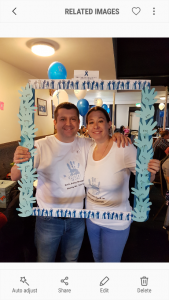 The second event held was a Charity Fun Day at the Railway Club in Lancaster which was planned to be a fun filled family day with raffles, food, games etc. to keep kids and adults entertained. The event in our eyes couldn’t have gone any better. We had the help of lots of amazing people (too many to mention) to make it happen, lots of people helped to organise and help out on the day, prizes were donated from local businesses and people offered their services for free. In total over both events the amount raised was an impressive £1,469 which we are over the moon with and very pleased to be passing this on to the charity. Sophie and her family we would like to thank each and every person who helped and contributed to the events.